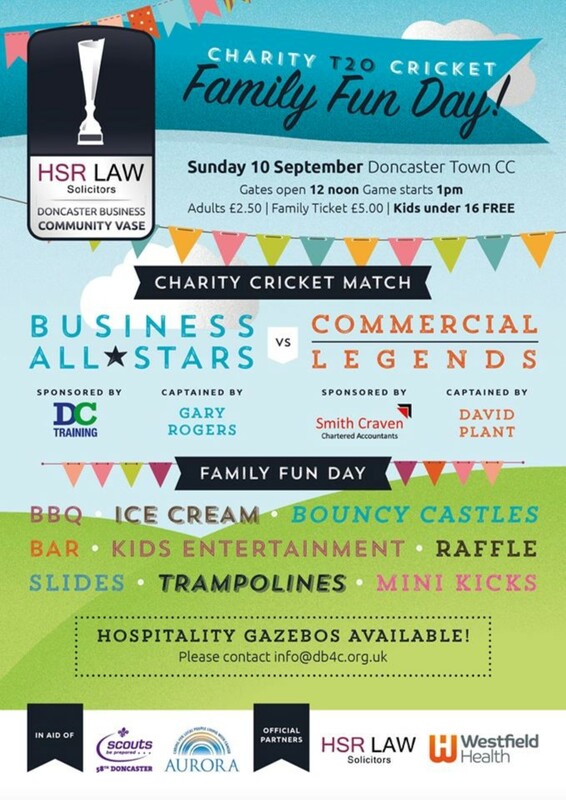 We are proud to be sponsoring the Doncaster Business for the Community’s Charity Twenty20 Cricket Match and Fun Day. Come along for a great day out for all of the family and to help raise money for Aurora Wellbeing Centres and Cantley 58th Scout Group HQ Build. £2.50 for adults, children under 16 go free.